The origins of Baba Nyonya can be traced back to centuries ago when the Chinese emigrated from China to the British Straits Settlement of Melaka, Singapore, Penang and also Java of Indonesia. The Chinese then married the local females and their distinct background, cultures and customs blended together harmoniously and became baba nyonya in “Peranakan” culture. “Peranakan” means descendent in Malay. It is another local term for them. “Baba” refers to the male while “nyonya” is female. Beside, they are also being known as “Straits-born Chinese”. 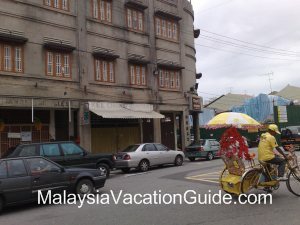 This is a very unique culture in Melaka where the Chinese culture is assimilated into Malay customs. 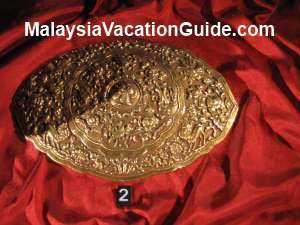 During the ancient time, they retained some practices of Chinese culturesbut at the same time adapted local Malay traditions in order to minimize the culture shock. Assimilated into Malay culture, they have several similarities with that culture in terms of dress, food and language. Nyonya is usually wearing sarung or baju kebaya similar to Malay. However, most of them are not Muslim even though they practice Malay traditions. They retained some Chinese customs especially in festival celebrations, marriage, names and ancestral worship. Mentioning about nyonya food, one will be salivating and food like Kapitan chicken, buah keluak, duck sup, laksa and variousmouth-watering sweet delicacies will come to the mind. Adapt both cultures in cooking; nyonya food is made up of pungent and strong-flavored spices from Malay and Chinese style in food preparing. Thus, you might probably find some cuisines similar to Malay food but contain pork. They speak in a form of “assimilated language” consisting of Baba Malay, Malay Patoi and Hokkien dialect. Thus, you might be surprised by the way they speak in a mixture of Malay language, Hokkien dialect and probably some unfamiliar terms for you. 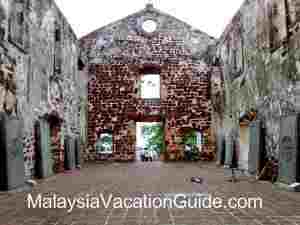 It is said that their language is a blend of Chinese, Malay and Eurasian culture because European like Dutch was influential when they dominated Melaka last time. Their languages itself is amazing enough in telling you how one culture can assimilated into another and create another novel and unique culture. 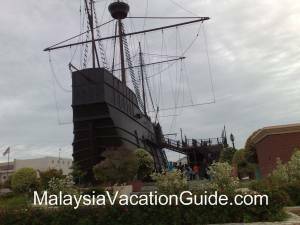 In order to have a thorough understanding their heritage in Melaka, it is worthwhile to pay a visit to Baba Nyonya Heritage Museum located at Jalan Tun Tan Cheng Lock, adjacent to Jonker Street (Jalan Hang Jebat) where it is only a 10-minute walk away. The museum, which was renovated from 3 well-preserved townhouses is privately owned and run by local baba nyonya. 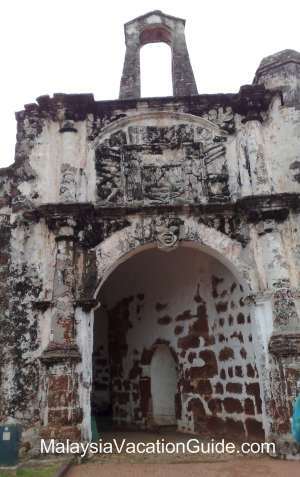 Before stepping in, the museum with wall painted in light peach colour and classic wooden window and door will give you a warm welcome even from afar. The museum showcases valuable antique such as hand-craved wooden furniture, precious dinnerware made of ceramics and their traditional costumes. Through the antique furniture, you can see their spectacular craftsmanship where they turned wood into bulky but unique furniture like chairs and tables. Ceramics and costumes presented in the museum will tell you their lifestyle. 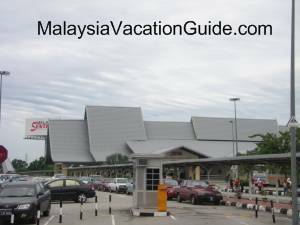 Though the entrance to the museum is considered high (RM 8.00 for adult and RM 4.00 for children) if compare to other normal and convention museum, it is an exclusive gateway for you to know more about the interesting and unique culture of baba nyonya in Melaka. 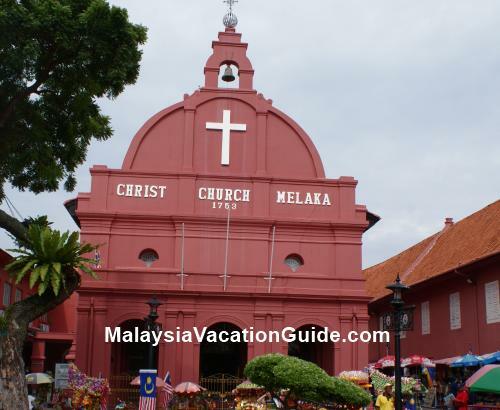 It is another attraction not to be missed or your visit to Melaka will not be a complete one without knowing this culture. 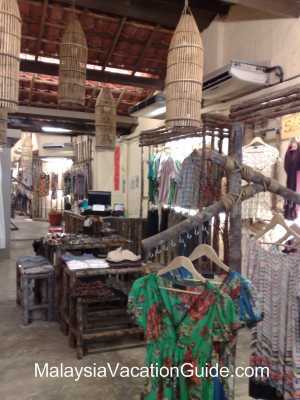 Contact the museum directly at Tel: +6 06 2831273 for further enquiry.